A SMART City could have many faces. This reference is focused on parking in the middle-sized city because this issue often has to be solved by the management of the city. The aim is to simplify interaction between cars and pedestrians to prevent the conflicts between them and also make parking easier and well-arranged. 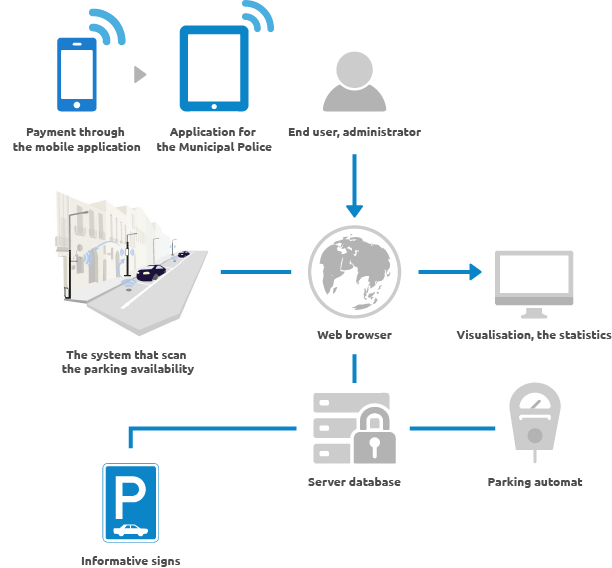 Based on the research, smart parking increases the effectiveness and helps with the collection of parking fees. 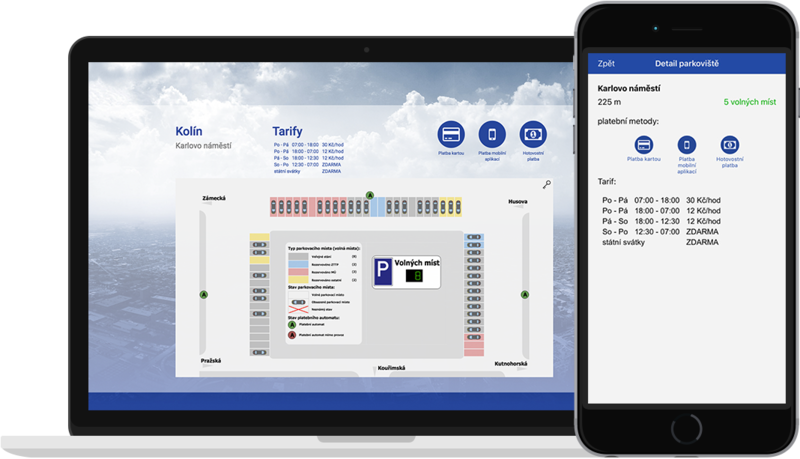 Smart parking has increased the amount of collected fees up to 120% in some cities – that result declares smart parking as a good and profitable investment for city management and could be a significant source of revenue. The project is situated in Kolin (Czech Republic) in the main square. There are 60 parking spaces (a few of them for the City Hall workers and local business people) and the current situation on the square is marked by heavy traffic and drivers who are looking for a parking spot. The obsolete parking machines were not able to communicate with the database system and neither administration nor control were possible. There was no option to pay via contactless card, which is very popular and almost necessary to have in this century.